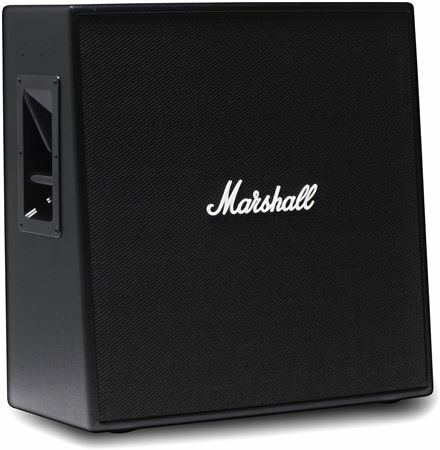 Shop Marshall CODE412 4x12 Speaker Cabinet 200 Watts 8 Ohms from AMS with 0% Interest Payment Plans and Free Shipping. 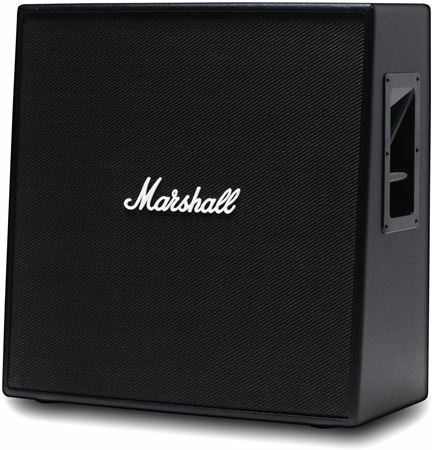 Get the most out of your Marshall CODE head by matching it to the CODE 412 cabinet. Designed to be used with the CODE100H head, the CODE 412 is a 200 Watt, 4 x 12” angled cab, loaded with custom speakers. Contemporary design – this cabinet is stylish and sleek in all black. Versatile tones – whether you’re playing with clean tones or lots of distortion, these speakers can handle it all. Great construction and the voicing of the cab is a great match for the Code 100 head. Big bang for the buck!!!! Very well built, good sound. Marshall claims that cabinet is loaded with custom speakers not sure about that but sounds damn good for loud speakers. Only one complaint.....Should have come with castors so you can wheel it around. That's OK I went to Home Depot and for $15 bought my own. I love the deep sound. Neighbors hate me!!! A great match for the Code100 head! This thing sounds just as beefy and remarkable as the Code100 head I have driving it. Truly a match made in sonic heaven. Just headlined Wasteland Weekend in CA and man was this thing loud!! Keep up the great work Marshall! The perfect combination with the code head. Marshall is a winner. For a cheaper range speaker cabinet, this thing is awesome, it woke up everything for my sound, got much tighter in the bass end, and the mid and highs just scream through for the leads and solos, best choice for the money at the time I made.